Sire is Hatcreek Bailey and dam is Keleo Kitten. 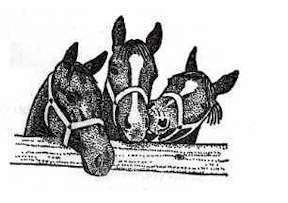 Both horses were great-grandson and grand-daughter of Leo so she has a double dose of Leo along with Chieflika and Alamitos Bar breeding. 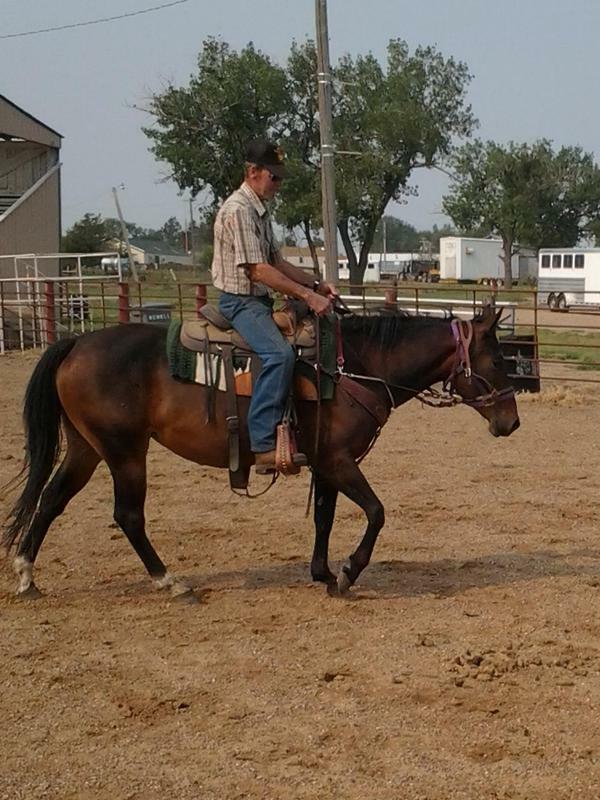 She has been started under saddle and is riding nicely. Shadow has the type of disposition where nothing bothers her--no spook or buck. Sire is Kings Breezy Doc and dam is Coutry Royal Sis. Kate is 19% King P234. Bob used Kate to check irrigation water last summer. She is currently getting some outside riding by a high school girl. 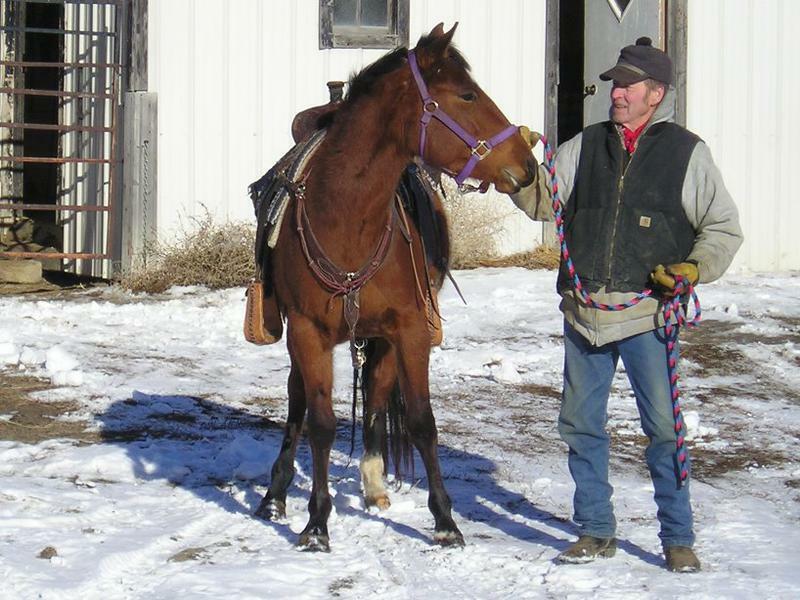 Sire is Kings Breezy Doc and dam is Keleo Belle who has produced rope horses, barrel horses and pole bending horses. 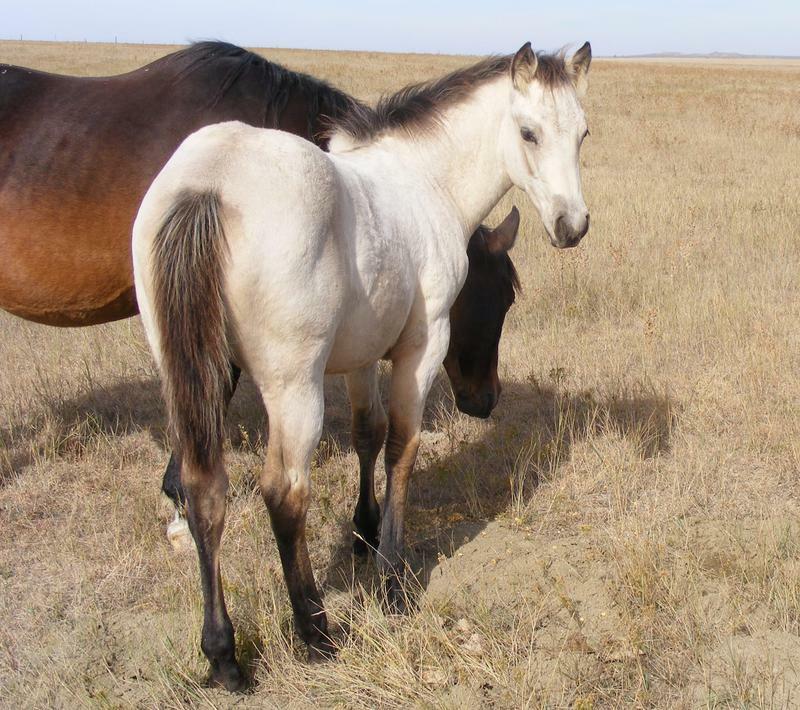 One of Belle's foals was the NDHSRA champion pole bending horse several years ago. Daisy has not been started because she was turned out due to an injury but has fully recovered. She is gentle, easy to catch and ready to start. 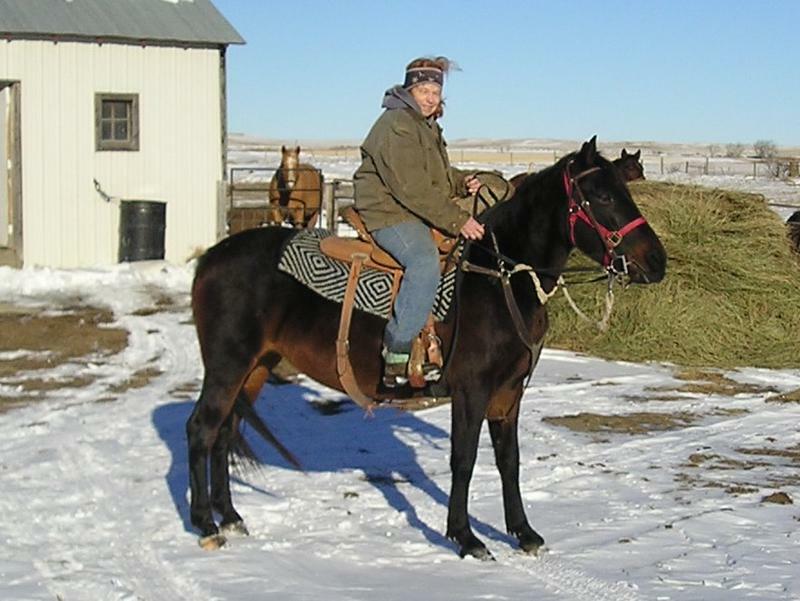 Here are links to 3 more videos of shadow, They show her being saddled, driven and ridden. Please click on the link to be taken to the youtube video. Sire is Hatcreek Bailey and dam is Kings Centava Breeze. 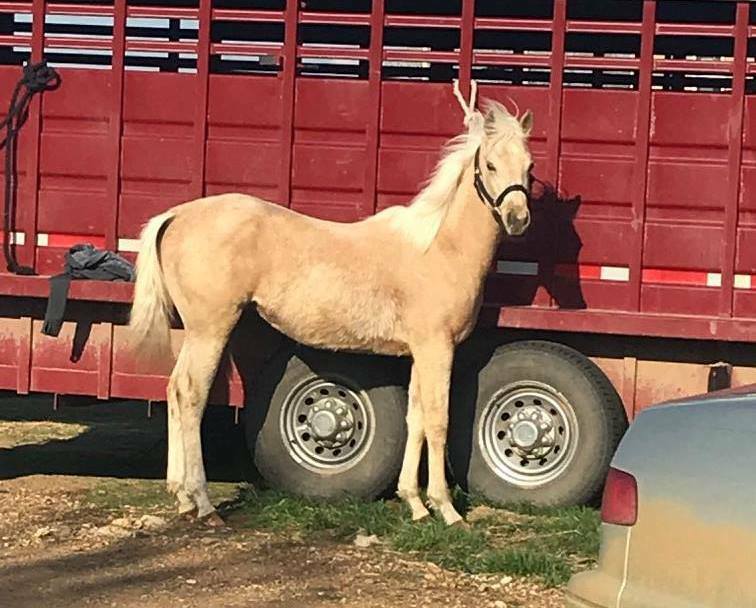 Nifty is pasture exposed to Kings Breezy Doc this year for a 2019 She is halter broke, extremely gentle and easy to catch and has been ridden for several years. 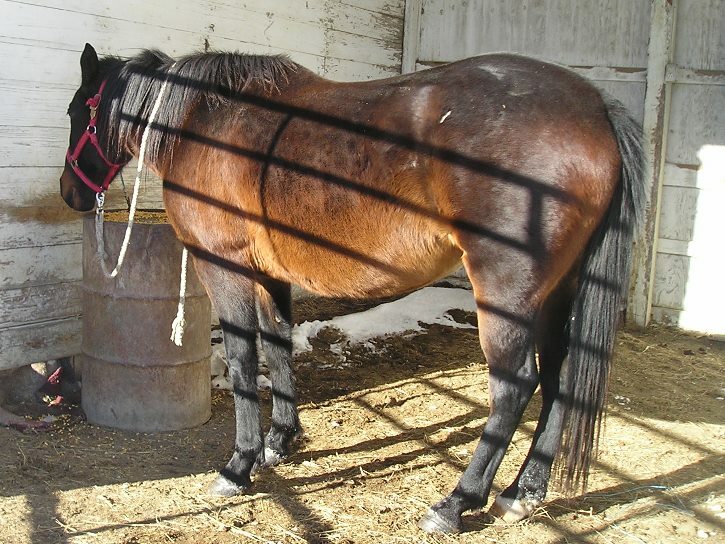 Sis is a 22% King P234 mare who has raised many nice foals for us. 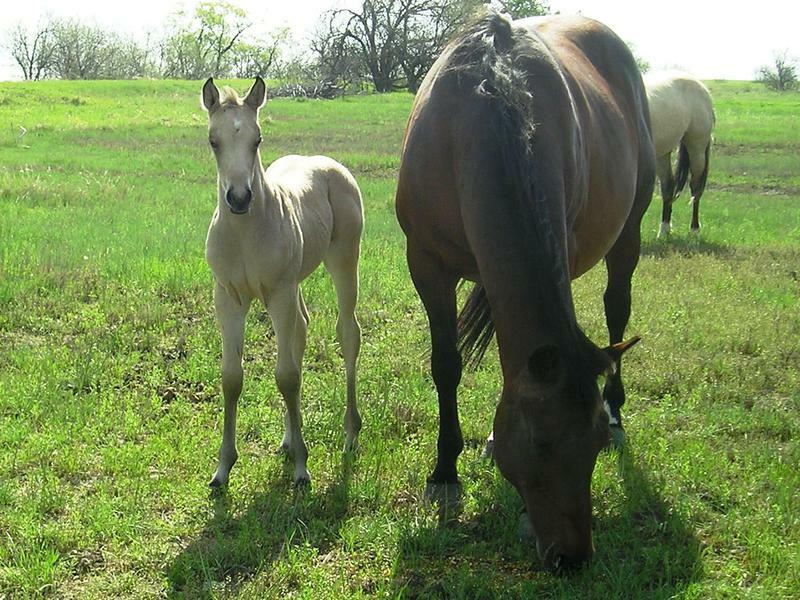 Sis and her 2018 buckskin filly have a new home n Arizona where she will raise her next foals. 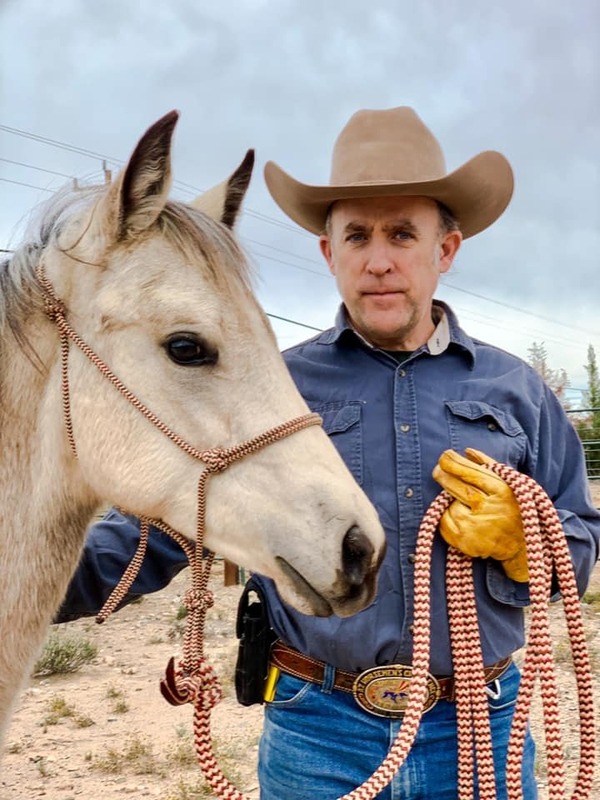 This is Roys 2018 filly in Arizona. Mighty is a 2019 filly by Kings Breezy Doc and out or Three Bar Marie. 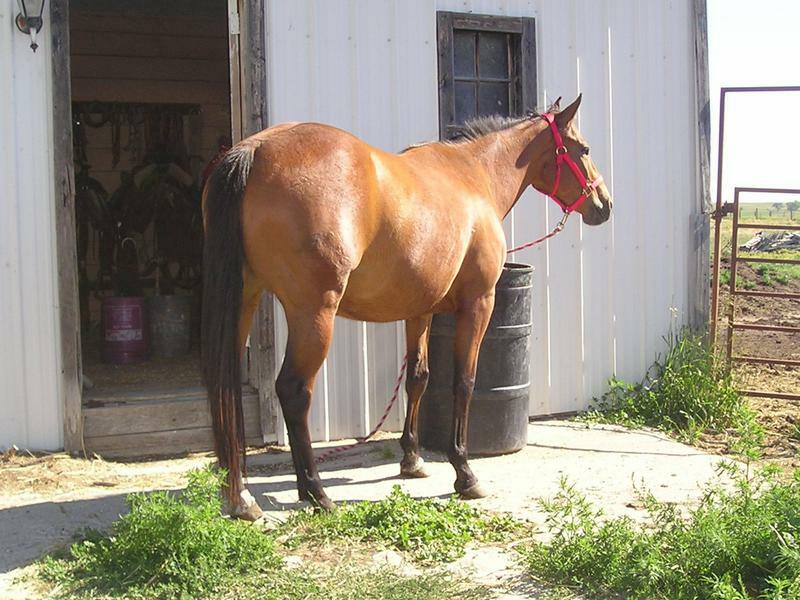 Her new owner is from Newell and has plans for Mighty to become a barrel horse. 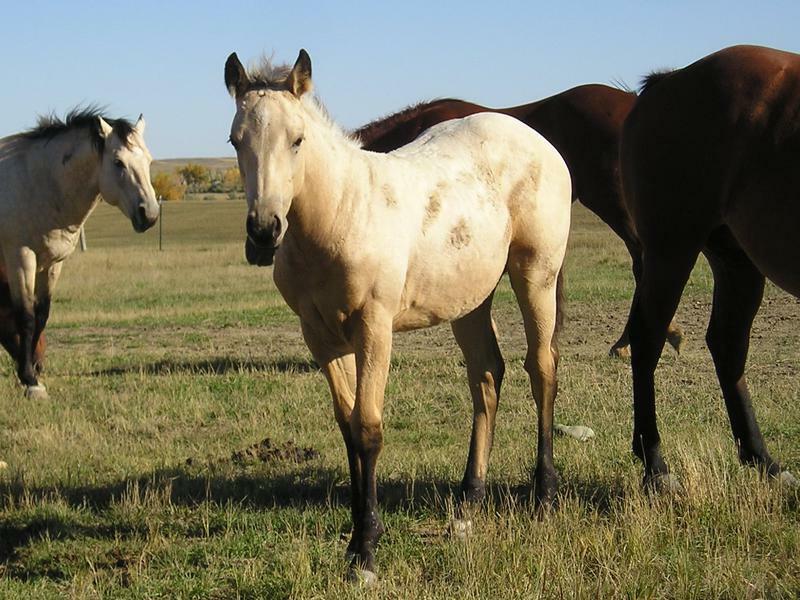 Reggie was sold to a young family in Montana. She is by Kings Breezy Doc and out of Miss Coureur King. 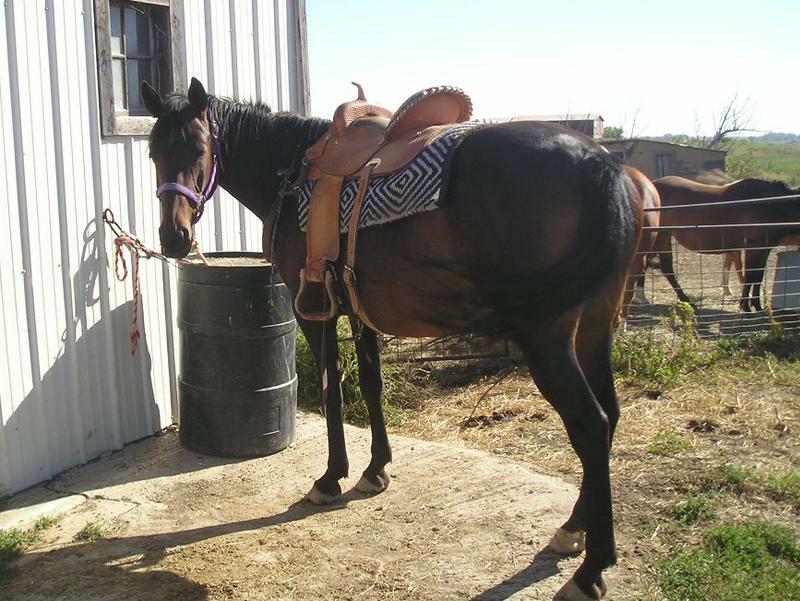 Sadie is learning to be a cowhorse and a saddle horse for my sister. She now lives at Gillette.